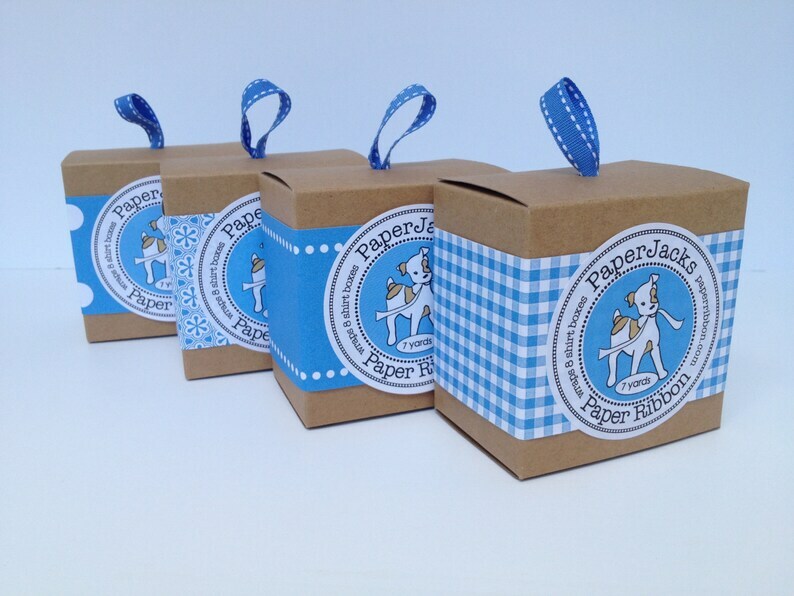 This listing is for one box of blue paper ribbon in the pattern of your choice. The box contains a 7 yard roll of 2" wide Paper Ribbon which is enough to wrap 8 shirt boxes or 20+ favor boxes. Really nice products! Made well and are just as pictured. Shipped fast, too.